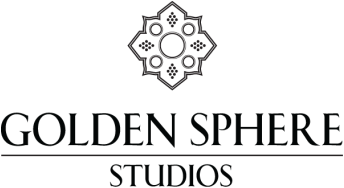 Here at Golden Sphere Studios we celebrate the fine craft and design of the jewelry arts and the individuals who dedicate themselves to bringing awareness to this highly creative field. Golden Sphere Studios is the only site on the web to feature the full current and available fantastic work of Master Goldsmith Kent Raible. We wish to illuminate also, the creative and tireless work of individuals who have dedicated themselves to bringing awareness to the public of the exemplary works of artists and crafts people. Thank you for joining us, please let us know if we can better serve you. ​My life’s path is that of the goldsmith, a path of over 44 years now! To say I love my job would be an understatement! Because, in a world where few things endure, I am one of those who have chosen to celebrate that which defies the passage of time and the whims of fashion. ​My life's works draw deeply from the most ancient wells - the archetypes, symbols, and themes that have persisted for millennia. But in my hands, they take on and follow the lines of that singular, internal vision of the practiced artist - one who speaks his own language that somehow bridges the past, present, and future. My clients tend to call me a true Renaissance man. One could say, in fact, that the pieces I create are perfect time-traveling machines! Firmly rooted in ages-old tradition, each a conscious contributor to its own time, always with a keen and anticipatory eye on what might be next. 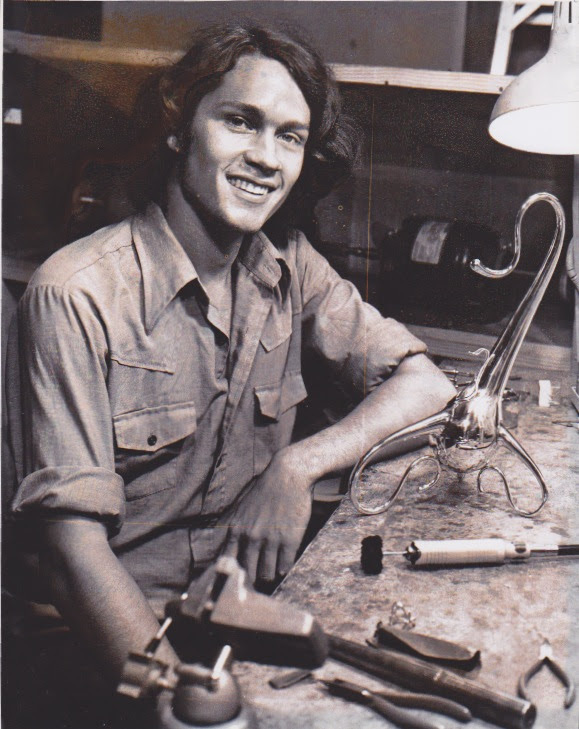 1977, The silver sculpture, "Water Pipe," and my first national award. Whether I'm satisfying my creative urges or creating a custom piece, I know that someone out there is waiting for it, already participating in the first steps of its generations-long journey. When my work is truly flowing, it feels closer to meditation than anything else. The making is an end in itself. Like a musician lost in the playing of the music, I can sit still for hours, blissfully focused, arranging tiny granules of gold into beautiful patterns. When my work is truly flowing, it feels closer to meditation than anything else. The making is an end in itself. Like a musician lost in the playing of the music, I can sit still for hours, blissfully focused, arranging tiny granules of gold into beautiful patterns. Excited by the certainty that each piece will live I life I had never, could not ever, imagine for it myself. ​".... Kent's pieces are the quintessence of sumptuous jewelry. Using gold, precious and semi precious stones, he brings to mind a fantasy world of sultans, sheiks and palatial surroundings. Kent's work is glorious in that it has a fantastical quality. It alludes to a time of opulence, when intensive labor was an end in itself. There's a sumptuous, sparkling, magnificence to his work." "We've purchased many pieces from Kent over the last 35 years. Many were collaborations. I would offer a rough sketch or idea that somehow Kent would turn into a beautiful rendering - and that would become an exquisite piece of jewelry. Kent's granulation is the finest I've seen - his jewelry not only beautiful but very comfortable to wear - and I wear one of his pieces every day." ​If you first saw any of the jewelry presented on this website at one of the galleries representing Kent's work, please purchase it directly from them. If by chance, you are located near one of the galleries listed here and would prefer to view a piece of interest in person before making your purchase the gallery will be happy to bring it in for you. We have chosen to work with galleries of the highest integrity, they are a pleasure to work with. If you are visiting in their area, do consider stopping by, tell them "hello from the Raible's"
Khaled and Sheryl Al-Awar of Primavera have been representing the work of Kent Raible for over 20 years! They know Kent's work very well and are masterful in assisting you with your purchase or your commissioned piece. Primavera's gallery of fine art and top American Craft is a destination you won't want to miss in the lovely Ojai Valley. Here you will find an impressive collection of emerging and long established talented artists working in a variety of mediums. 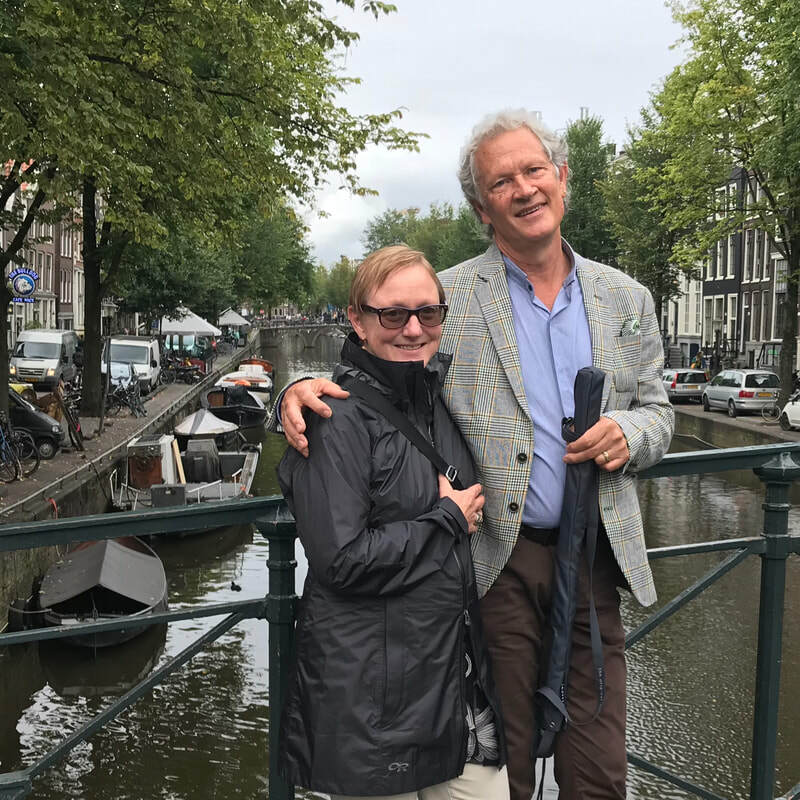 Elaine and Steve Kaufman and their jewelry gallery are internationally renowned for their expertise in selecting, and bringing public awareness to some of today's most sought after jewelry designers. They are very versed in the world of Kent Raible jewelry and are ready to help you with your purchase. We began working with the Telluride Gallery shortly after they opened their doors, over 27 years ago! We consider them to have one of the finest curated collections of collectable studio jewelry today. Diana Vincent has been dedicated to the craft of finely made international award winning jewelry since 1980, winning the prestigious DeBeers Diamond International Award in Paris in 1984. Today they continue their beautiful work and in addition, they have opened this second location in Lambertville, New Jersey, which houses the work of top international designers along with their own stunning collection. Kent is honored to be part of this 'family' of designers. 5 Market Square/61 Avondale Ln. Jim Cotter has been an active member of the Vail art community since opening his first gallery in 1970. Himself an internationally known jewelry designer and sculptor, Jim curates an impressive line up of contemporary artists from the U.S. and Europe for his galleries. Kent met Jim this past summer when they both presented during the Colorado Metalsmithing Association's Annual Conference. Kent looks forward to joining with Jim and his team to bring you the very best in art jewelry.